Pack of Mixed steel washers. 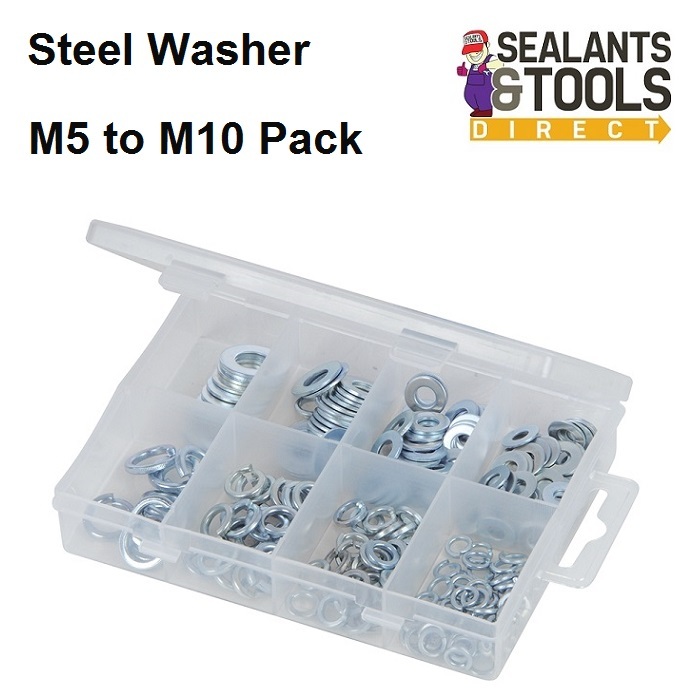 Pack contains flat washers and spring washers. Assorted sizes M5 M6 M8 M10.